Attorney General Jeff Sessions announced a shift in policy for the Department of Justice on Tuesday, directing U.S. attorneys to prioritize criminal immigration enforcement and drastically expand federal court prosecutions of immigration violators across the nation. Operation Streamline and other border enforcement programs—where some border crossers are referred by Customs and Border Protection to the U.S. Attorney’s Office for federal prosecution—have been a staple of immigration enforcement for the last decade, but have been limited to the border region. However, today’s announcement marks a shift. Sessions is directing all 94 U.S. attorney offices around the country to focus resources away from prosecuting more serious criminals and national security threats, to prosecuting individuals who crossed the border without inspection. This will undoubtedly lead to the creation of rushed processes which are short on due process but a boon to private prisons who will house the low level immigration offenders on the taxpayers’ dime. To ensure these U.S. attorneys prosecute every low level immigration offense that comes their way, the U.S. government will also use scarce resources to ensure every office has a Border Security Coordinator as of April 18. They will be in charge of collecting and reporting on statistics, giving legal advice to U.S. attorneys, and overseeing prosecutions. This is a clear attempt by the Trump administration to act tough on immigration and waste even more federal taxpayer dollars by going after border crossers instead of protecting the American public. Sessions claims he wants to protect public safety. However, he is pouring even more resources into prosecuting people who cross the border without permission, many of whom are seeking to join their families. 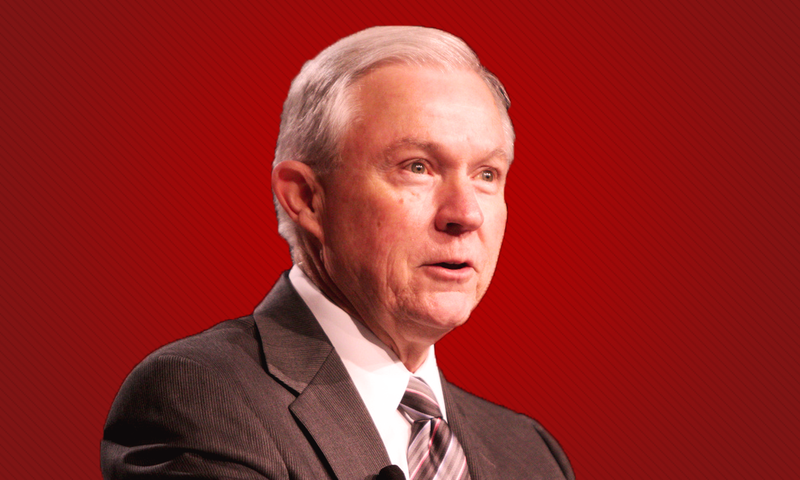 Rather than going after violent offenders and gun and drug smugglers who pose a threat to American communities, Sessions is prioritizing border crossers. Further, in May 2015, the Department of Homeland Security Office of Inspector General released a report which cast doubt on whether the current border prosecutions actually had any impact on border crossers. Among its findings was that Border Patrol is “not fully and accurately measuring Streamline’s effect on deterring” illegal immigration and that CBP even targets for prosecution individuals seeking asylum—a huge violation of international law and agreements. There is a good chance this new emphasis on border prosecutions will net asylum seekers as well. This further criminalization of border crossers is troubling but not totally surprising in the world of federal law-enforcement, where half of all arrests are already for immigration-related offenses like entering or re-entering the United States without authorization. Given that the vast majority of unauthorized immigrants entered the country in order to work or reunite with family members, this new policy announcement represents a very poor use of federal resources and is a huge step backwards.